The core of the Feeding Crane system is the ji bei gong (also called gong-li), the power development techniques that inculcate the sudden, short range power of the system. There are 30 basic movements that develop this power, taught in 3 levels. A new level is taught when some “thunder”, the noise the body makes when the fajiang (sudden release of energy) is properly done, is heard in the previous level. Some of the basic movements reference elements of Chinese cosmology- the 5 element hands (Fire, Water, Earth, Wood, and Metal) feature prominently. 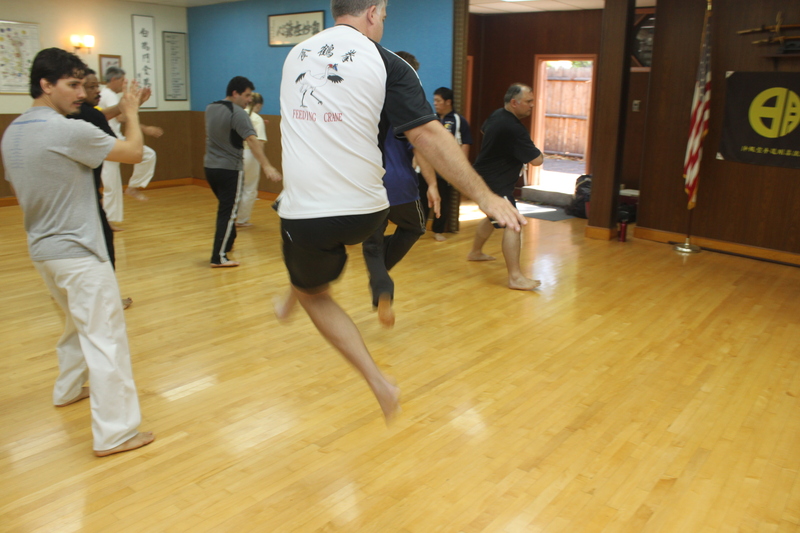 The basic movements are in many ways the most important part of the system, and without proper instruction in them you cannot really be doing Feeding Crane kung fu. While there is gradual instruction in the basic movements, there are no ranks in Feeding Crane. You know what you can show, that is it. Each student learns at their own pace, and we all train together. 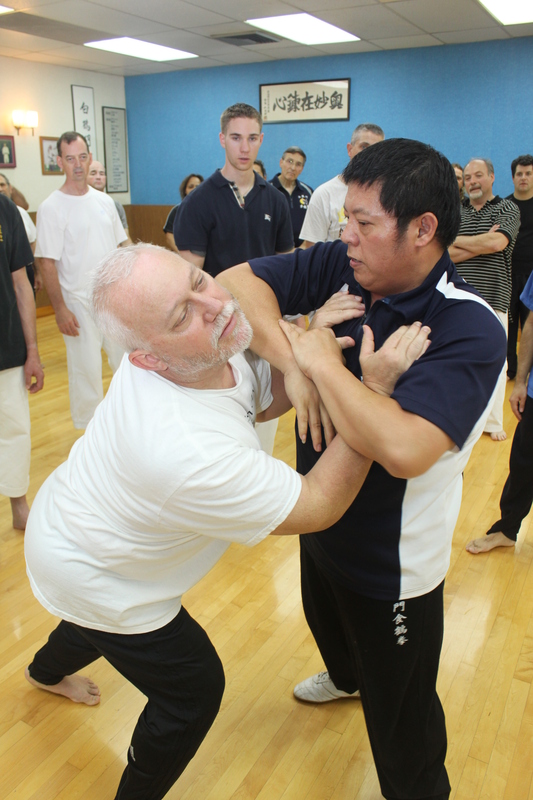 In addition to the basic movements there are specific practices for developing sensitivity to the opponent’s movements and attacks- some are similar to tai’chi’s push hands. There are practices for developing an “iron shirt”- conditioning the body against impact, learning to move and step, develop hand and body speed, and develop good combative reactions, among other things. The system has 21 forms, which are taught progressively as the student gets deeper into the system. The application practices are rooted in both the basic movements and the forms. They demonstrate clearly the non-sportive focus of the system. The “defender” does not always wait to respond to an attack and counters focus on striking vital areas of the attacker, using the short power and rapid-fire attacks that are the hallmarks of the system.